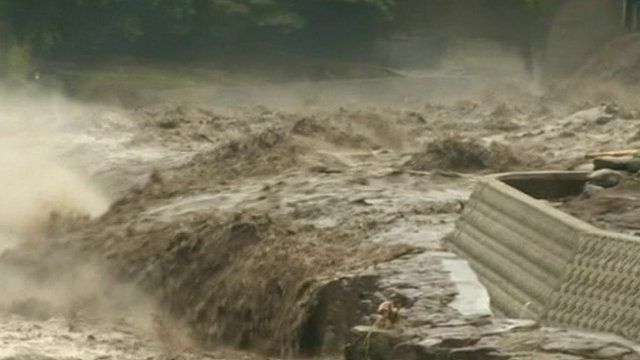 Thousands ordered to flee Japan floods Jump to media player Soldiers have been deployed in the south-west of Japan where unprecedented amounts of rain have caused floods and landslides. 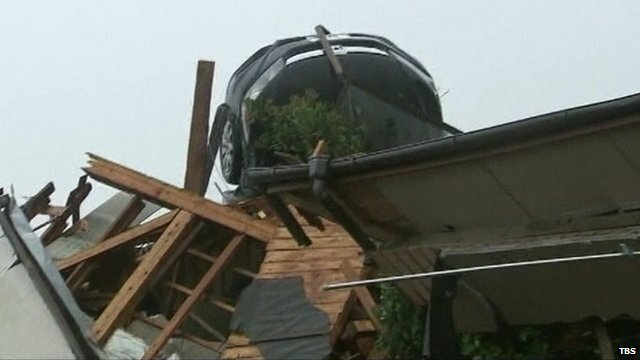 Deadly floods sweep south-west Japan Jump to media player At least four people are reported to have died, and 15 more are missing after parts of south-west Japan were hit by flooding. Soldiers have been deployed in the south-west of Japan where unprecedented amounts of rain have caused floods and landslides. At least 20 people are reported dead or missing in Kumamoto and Oita prefectures on the island of Kyushu. In some areas nearly 50cm of rain fell in just eight hours. Mariko Oi reports from Tokyo.